Another entry from John Wayne's non-western series at Universal, Conflict casts Wayne as Pat, a bare-knuckle boxer in turn-of-the-century New York. 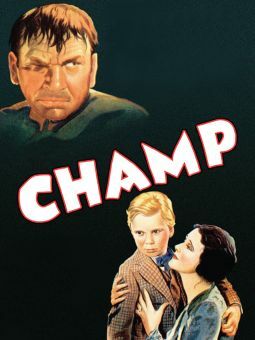 Not the most honest of pugilists, Pat reforms for the sake of an orphaned kid named Tommy (Tommy Bupp), whom he has saved from drowning. He sets out to redeem himself by finding legitimate work in a lumber camp, but his past catches up with him. Jean Rogers, Buster Crabbe's vis-a-vis in Flash Gordon, is the heroine, while the nominal villain is Ward Bond, making the first of several co-starring appearances with John Wayne. Conflict is based on Jack London's The Abysmal Brute, previously filmed under that title with Reginald Denny in 1923.